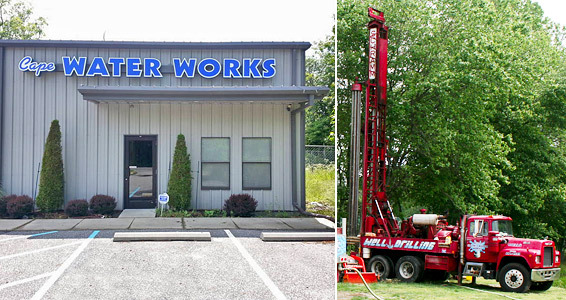 Cape Water Works provides Well Drilling, Pumps & Tanks, Water Treatment, and Motors in Cape May County & Atlantic County, NJ (Upper & Dennis Township). Cape Water Works is a newly opened branch of Absecon Electric Motor Works Inc. which has been serving the Jersey Shore area since 1938. We are a member of the National Groundwater Association. 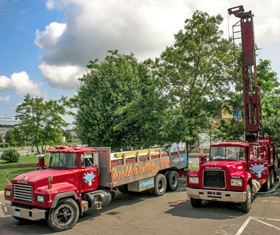 We have two fully licensed Master Well Drillers on staff, who are up to date with the latest technologies and attend manufacturer courses and National Groundwater Association continuing education classes. Cape Water Works, 1071 Rt 83, Clermont, NJ 08210. Phone 609-898-1105. Serving Cape May County and Atlantic County, NJ.